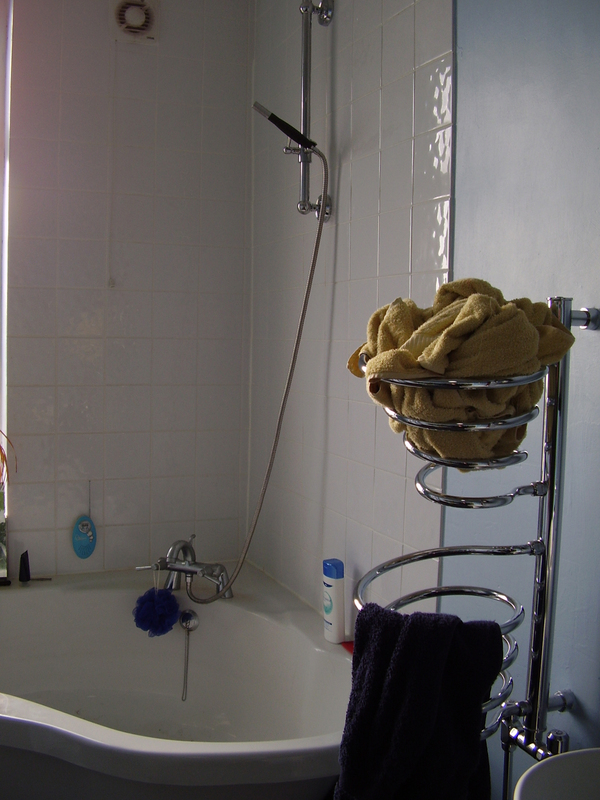 In the bathroom I have a simple gravity fed shower over the bath. 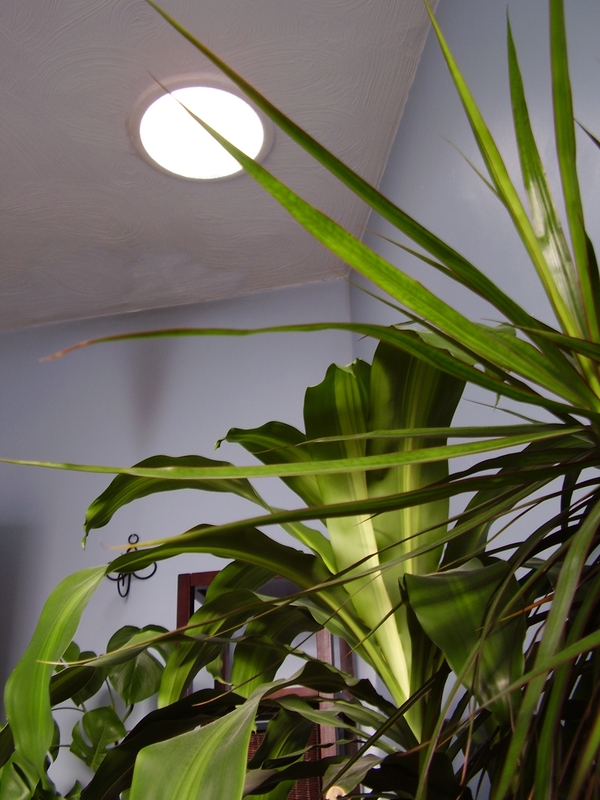 I also have a ‘sun pipe’ in the ceiling, which takes the daylight from a collector lens on the roof and pipes it through into the dark part of the bathroom. When the bathroom door is open, it throws bright daylight down the stairwell! And the plants love it! !